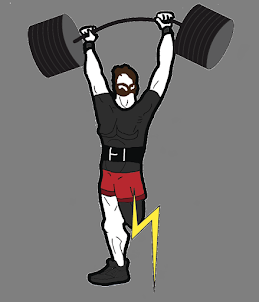 I like to do barbell incline bench press as a main pressing movement, because it has good carryover to regular strongman and incline presses are often featured in disabled strongman competitions. One thing I have found is that my flat bench strength typically goes up after doing a few cycles of incline press, even if I've been plateaued for a while. I've had times where I've gone three months without even touching flat bench, but this isn't one of those times. Interesting note from today, I asked a guy to spot me on incline press and he decided to chat afterwards. He started talking about how "it would be nice if we still had the energy the young guys have" and I just laughed internally and played along. Despite what people think when they meet me, I'm only 26. 305lbs was a new 1RM, five pounds over my previous max. 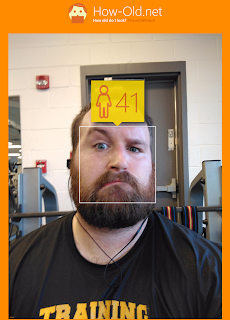 The best part is that this was programmed as a training 1 rep today, whereas when I hit 300 it was unplanned. It wasn't as clean as I'd have liked, but I'll take it. I decided to have some fun with this one, and do heavy high volume. These felt good on my shoulder after all the benching. I'll be doing rows later this week.